Davis ME, and E Hoyt. “Is Gig Work Bad for Your Health? Evidence from a Longitudinal Panel of US Workers,” paper under review, 2018. Davis ME. “Pay Matters: The Piece Rate and Health in the Developing World,” Annals of Global Health, Vol. 82(5):858-865 (2016). Davis ME. 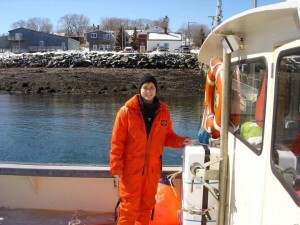 “Perceptions of Occupational Risk by US Commercial Fishermen,” Marine Policy, Vol. 36:28-33 (2012). Davis ME. “Occupational Safety and Regulatory Compliance in US Commercial Fishing,” Archives of Environmental and Occupational Health, Vol. 66(4): 209-216 (2011).